While you might think that your car keys are safe at home, our experts say that they are still at risk of being stolen. Thieves could get in your house and take valuable things, including your car key. With this in their hands, they could drive away with your vehicle. So make sure not to leave it just anywhere, even if it’s inside your house. Some people take security of their garden sheds for granted. Your garden tools and other items must be stored in there and they could still cost something, so you don’t want them stolen. Moreover, there may be tools that can be used by thieves to break-in to your home. So make sure to have a high security lock installed in your garden shed. If the door lock to your home this winter becomes iced over, remove the ice from the key opening and carefully heat the key with a lighter or match. Then hold the key with gloves and insert it into the lock and work it gently back and forth until the cylinder turns. 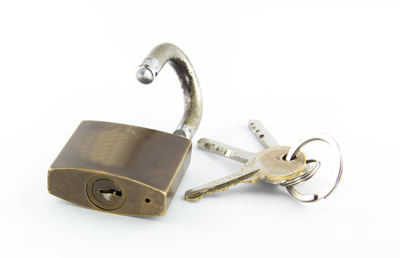 If the key still doesn't turn, call our professional locksmiths and we can get your lock working perfectly using the right tools and expertise without doing any damage. Even if the person returns the key to your house, it is always better to be safe than sorry. With rekeying, none of the old keys will work for unlocking the door. You will receive a set of new ones. If the lock is outdated or worn, however, the best solution will be to replace it with a better one.